site setup - configuration area for Plone and add-on Products. helps visitors to find necessary information on the site. Number of tabs can be different, it can be changed through Zope Management Interface (to see your site in Zope interface add /manage to the site url). 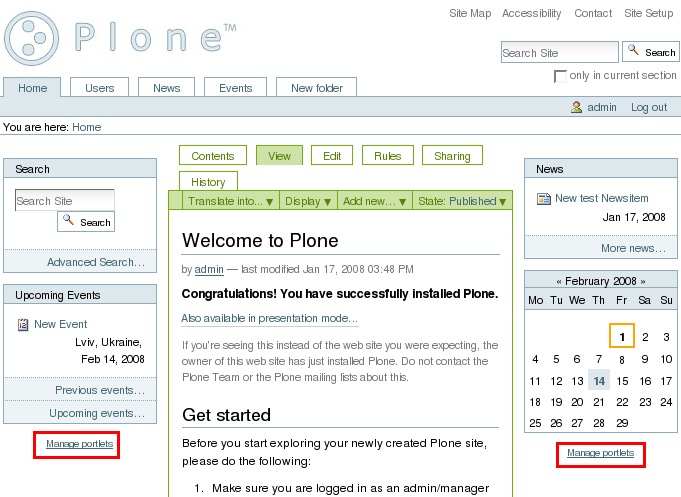 Another way is to use Plone Tabs product. a toolbar for a site member. 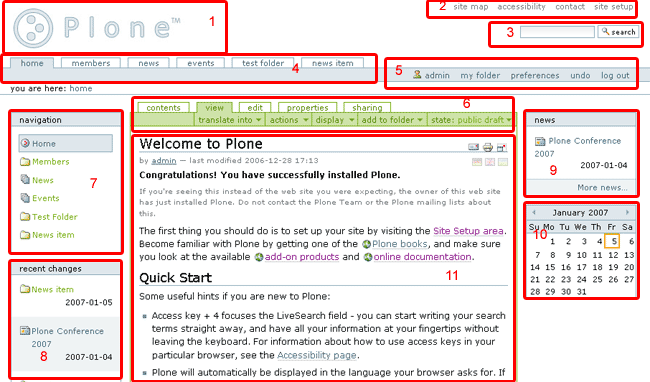 The tabs in a Task Bar are almost the same in all Plone versions, but there is properties tab in Plone 2.x, while there is rules tab in Plone 3.0.x. contents - shows listed content items on your site, including items size, modified date, state. With arrows 'up' and 'down' you may change the position of the item in the list. After selecting documents you may copy, cut or delete them. rename - change the name of the file and the title of the item. submit - to make an item published, it has to be reviewed by one of the site's reviewers. You can request that an item be reviewed by submitting it for review.